Australian relatives are welcoming the release of a Baha’i leader after he completed an unjust 10-year prison sentence in Iran, but point out that the persecution of Baha’is there is unrelenting. 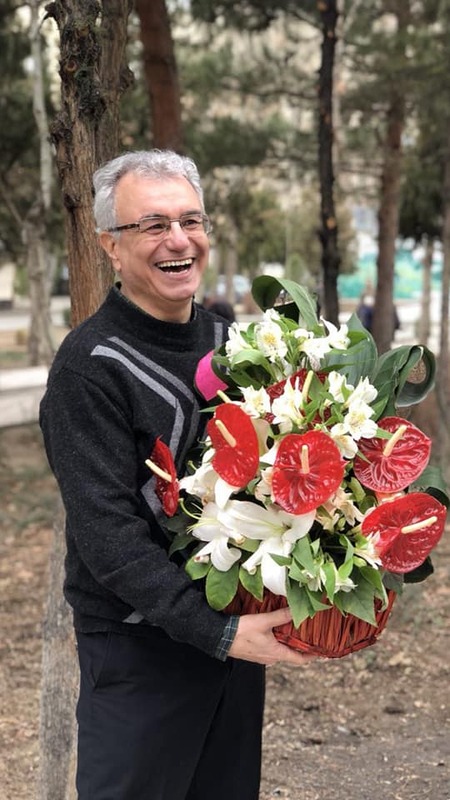 Agricultural engineer Saeid Rezaie, who stepped out of prison last week, was one of seven Baha’i leaders jailed since 2008. In 2010 the leaders were subjected to a show trial condemned by the international community. In Sydney, his nephew, Mehrzad Mumtahan, said that although celebrating the release, Baha’is will not rest in their calls for justice until all Baha’is and other prisoners of conscience are freed from Iranian prisons. In the same week that Mr Rezaie was released, Iranian security forces arrested seven more Bahá’ís in Bushehr. More than 80 Bahá’ís remain in prison due to their faith. Well-known in Sydney as the founder of the Harmony Film Festival, Mr Mumtahan has worked with other Baha’is to draw attention to the unjust imprisonment of the seven leaders. In 2015, for example, Mr Mumtahan organised a spectacular heart-shaped display in front of the Baha’i House of Worship in Sydney, which attracted widespread media attention to the issue. “It’s been a very difficult ten years for all of us, particularly Saeid’s wife and children,” said Mr Mumtahan. “There were times that we feared the worst and thought he and his colleagues would never leave prison alive given the severity of the charges. “They had been placed in very harsh and unsafe conditions, suffered preventable illnesses and were deprived of basic rights offered to other prisoners. “Seeing photographs of him so happy and radiant after 10 years of imprisonment, being embraced by his loyal wife Shahin and friends was wonderful. It was a victorious and historic moment, not just for him and his family and but for the entire Iranian people. Australian Baha’i spokesperson Natalie Mobini said Mr Rezaie should never have been arrested and jailed in the first place. “Year after year, the UN General Assembly has passed resolutions condemning the ongoing persecution of Baha’is in Iran, who are known for their law-abiding behaviour and their service to their local communities,” Dr Mobini said. “Australian Baha’is are grateful to the Australian Government, and especially to the current and previous Foreign Ministers, for their outspoken calls for the release of Mr Rezaie and other imprisoned Baha’is and for a halt to the widespread persecution. Dr Mobini said the officially-backed attacks include imprisonment of Baha’is, the closure of shops and businesses, bans on university education and murders and assaults committed with impunity. Mr Rezaie is the fourth of the seven leaders to be released on completion of his sentence. The three leaders remaining in prison are Mr Jamaloddin Khanjani, 84; Mr Afif Naeimi, 56 and Mr Vahid Tizfahm, 44.